In what feels like a labour of love, Rio producer Mauricio Pacheco took a hand-picked collection of Angolan tracks to a select crew of Brazilian remixers. The results are soulful and dreamy. Sourcing songs from the archives of the Angolan National Radio, Pacheco unearthed some gems from the 60s and 70s, a golden age in Angolan pop music which spanned the bitter fight towards independence in 1975. Bonga, Teta Lando, Artur Nunes and Carlos Lamartine were part of the generation of popular songwriters who took a pro-independence stand and became legendary touch-stones as their country headed into a civil war which would not end until 2002. Plugging retro African tracks into shimmering studios on the other side of the Atlantic takes a sure hand, and Pacheco has gathered together some of the most sought-after left-field Brazilian producers to carry it off. In a call for a united Angola on Angolé, Teta Lando’s mournful and heartfelt vocals get a gentle lift from Pacheco’s drifting electronica and his reverb rework of Avozinho’s Mama Divva Diame is another highlight. Kassin operates at the epicentre of the Rio avant-garde. Here, with Berna Ceppas, he puts a breezy, spacey spin on Bonga’s gorgeous lament Kapakiao. Celebrated Pernambucan innovator DJ Dolores tips breaks and metallic upbeats into the liquid guitar loops of Merengue Rebita. While on Kappopola Makongo, Moreno Veloso traces the sweet spot where Angolan semba meets samba. 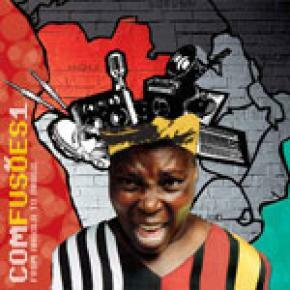 In this exchange, Comfusões celebrates and reroutes Angola’s rich musical past. With new kuduro king Dog Murras guesting on Chofer de Praça this album is clearly forward facing. But with all their experimental takes, Pacheco and Co have cut up the beats but not severed the links - the album is shot through with a tender mood and the sense of sad longing so at the core of Angolan song remains intact. There are deep cultural connections between Angola and Brazil, and this album explores that fractured story with the balanced flow of a capoeirista.